Unfortunately, in this day and age, it is important for citizens to consider what to do in the event of finding them self and/or family members in danger because of the presence of an active shooter situation. 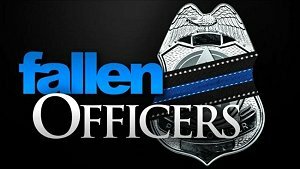 The Charlestown Police Department agrees and provides the following information and resources; currently promoted by several national law enforcement agencies, including our own Indiana State Police. 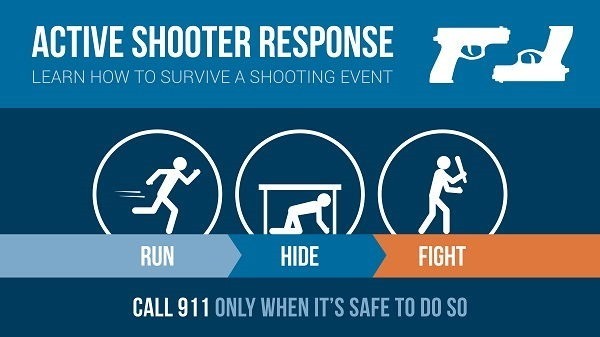 “Run Hide Fight,” of which the US Department of Homeland Security also advises is the proper response sequence to an active-shooter situation; is a quick phrase and way to remember what to do in an active-shooter situation, in order: RUN if you can. If you’re stuck, HIDE (also referred to as “sheltering in place”). If the shooter finds you, then FIGHT — with whatever you can (from hot coffee to pens). For additional information and resources on this topic, visit the Indiana State Police website section dedicated to Active Shooter Preparedness; including additional videos and training resources for what to do in corporate, school and school bus environments. This information is provided as a courtesy by the Charlestown Police Department.